This weekend Diane had to stay home so I set out on my own into the San Juan Mountains to finally climb my first 14ers of the year. 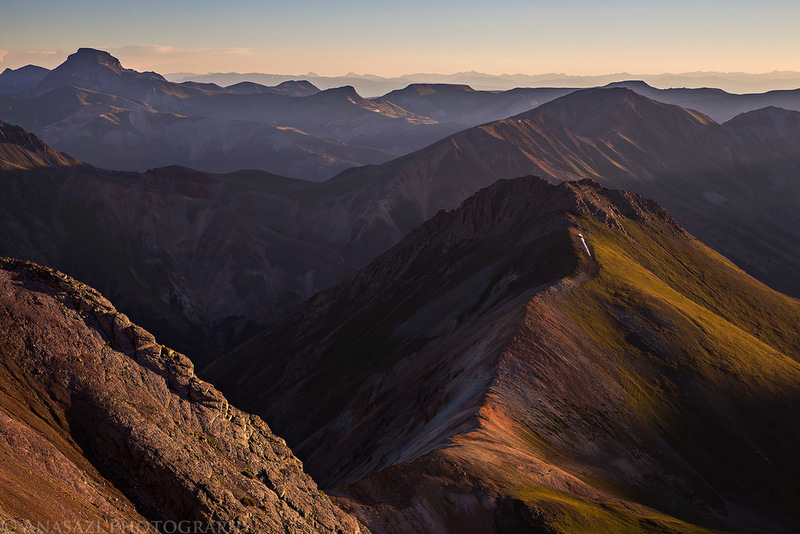 I planned to hike to the top of Redcloud Peak and Sunshine Peak bright and early on Saturday morning. I left work early on Friday and after stopping for a late lunch at Handlebars in Silverton, I continued up the Animas River to the top of Cinnamon Pass. 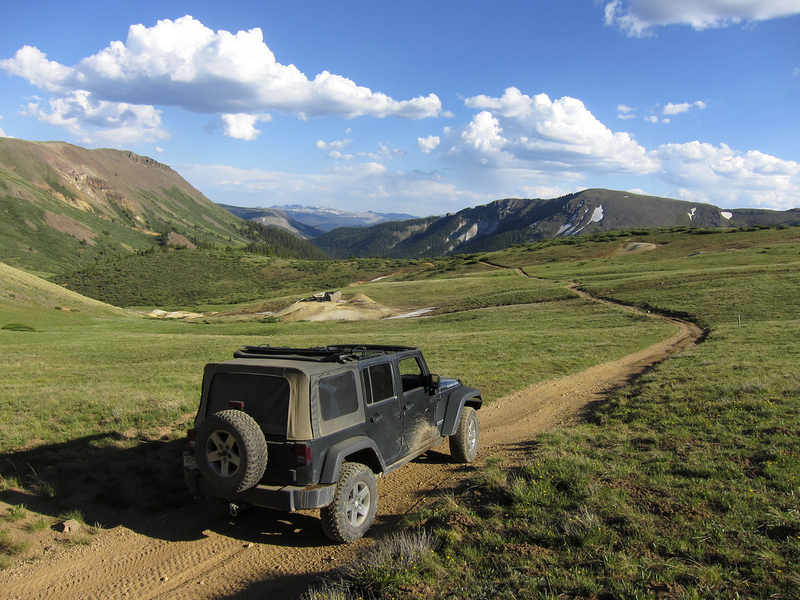 I parked at the pass and took a short warm-up hike to the top of Cinnamon Mountain, an easy 13er. Short hikes at elevation and sleeping above 10,000 feet really helps me get acclimated quicker. Diane has been hiking in the mountains with me all summer and was finally ready to try climbing her first 14er. 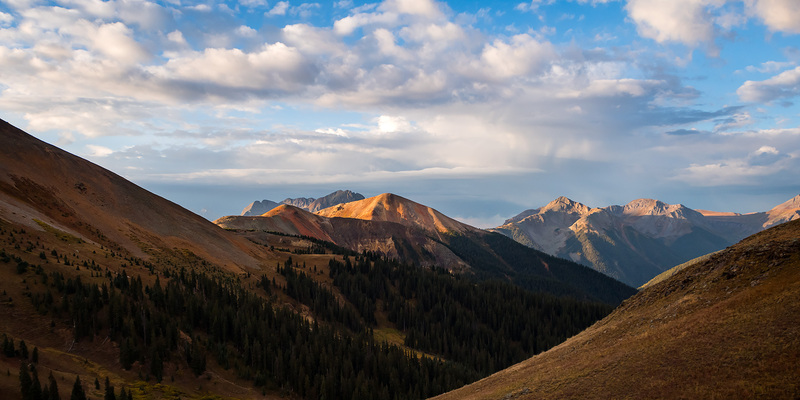 She left the decision of which 14er we would climb up to me, so I decided we would hike up Handies Peak in the San Juan Mountains. Handies Peak was my first 14er back in 2010, so I knew it would be a good one to start out on. It’s also one of the easier hikes at 2.9 miles in length (one way) with 2,500 feet of elevation gain. She has hiked longer trails with more elevation gain with me before, so I was confident she would make it to the top. Since Handies was my first, I was also looking forward to climbing it again to see how much easier it would be for me the second time around. Plus I was looking forward to getting an earlier start this time so I could watch the sunrise with a better camera from near the top. The desert has been heating up recently and I’ve been looking to start getting up into the mountains soon. 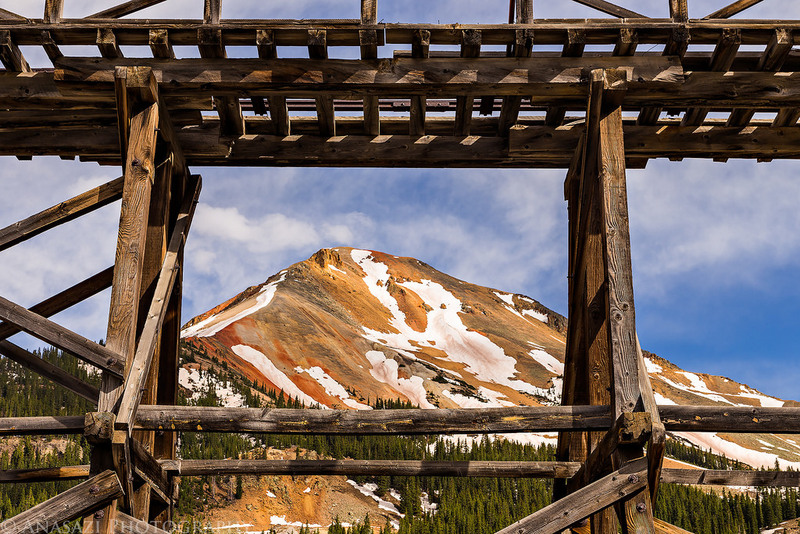 The first reports of roads opening up in the San Juan Mountains have been coming in, so I decided to head up towards Silverton and Ouray to see just how fast the snow was melting this year so I could start planning some mountain hiking trips. Much of Colorado’s high country got a lot of snow this year, so trails and roads are opening up later than they typically would. There is still a lot of snow up in the mountains, but it appears to be melting fast. Amanda had to work on the Fourth of July Weekend so I was on my own to find something to do. It was getting pretty hot in the desert, so I decided to take a break from searching for rock art and head up into the mountains. There weren’t too many roads open yet because of the snow still up in the high country, but there were enough to keep me occupied for the weekend. 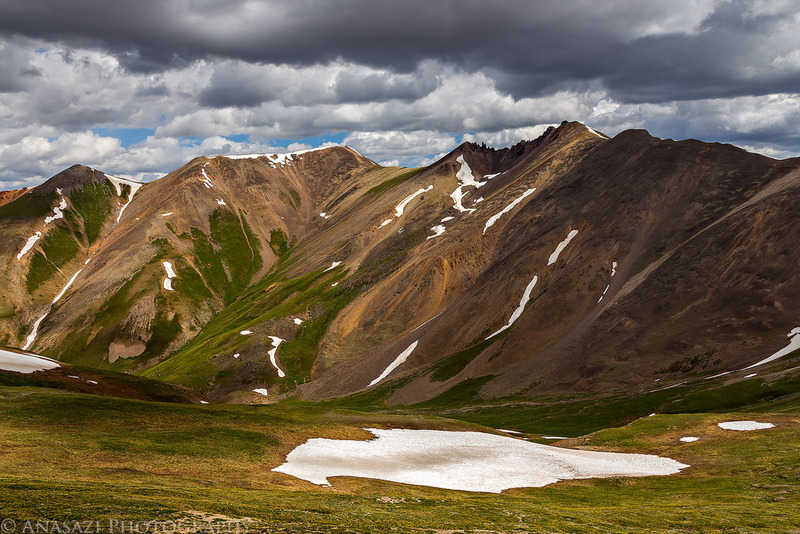 I decided to head south to the San Juan Mountains and take my time exploring the Alpine Loop. After passing through Ouray I followed the Uncompahgre River and Mineral Creek up to Engineer Pass.